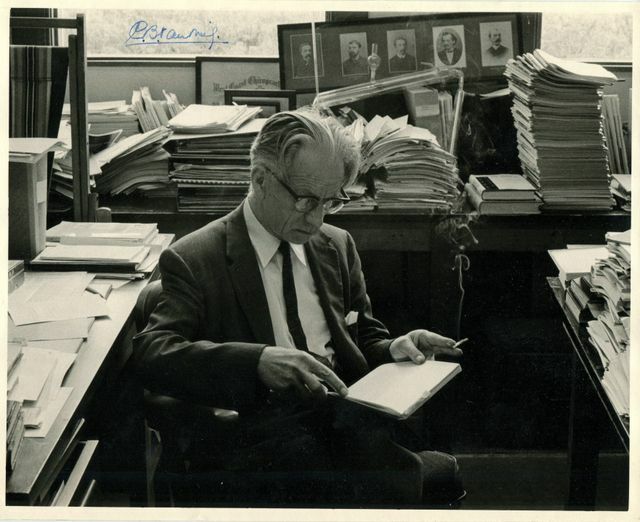 Cornelis Van Niel, one of the great figures in 20th century microbiology, always with a cigarette in hand. What's up with that certificate from the West Coast Chiropractic? Jeff Karr says that he couldn't identify any of the worthies in the photos, although the guy at the far left might be Eberth.